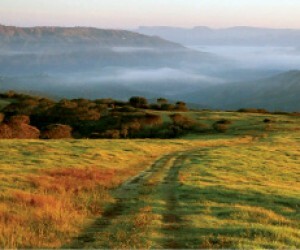 The Thousand Hills area has an extensive history of multicultural diversity, as evident in the demographics of the greater Durban area. It's this diversity that makes it the perfect tourist route where one can get to see, taste, feel and experience it all. Historical sites and structures extend from Fields Hill deep into the Valley of 1000 Hills. Request a tour guide to show you these hidden gems, including the Hammersdale Museum. The aeas of interest include Gillits, Kloof and all the way down to the valleys and villages in Embo, Isithumba, Molweni, Ngcolosi and KwaNyuswa. Fast forward from the early settlement to date to present day, and the Valley of 1000 Hills area has grown, not just in population but also in industrialization with the Hammersdale area earmarked for an inland port to assist international trade in reaching South Africa’s financial capital of Egoli, as Johannesburg is known. The Valley of 1000 Hills is home to the famous Comrades Marathon and Amashova Routes and houses the Comrades Marathon Wall, Sir Arthur’s Seat, and many more sites worth seeing. The area has numerous viewpoints where one can take in the awe-inspiring landscapes whilst enjoying wonderful hospitality. The 1000 Hills area is an outdoor junky’s heaven with a whole host of activities to take part in. From world-famous golf courses to Zulu cultural villages and adventure activities, there is something for the whole family to enjoy. The Valley of 1000 Hills is also home to a variety of nature and game reserves where one can take game drives or more tranquil hikes through valleys to visit waterfalls. The area is also well known for its weekend markets as well as its craft and curio shops for home décor or gifts. By virtue of being only 30 minutes from the bustling city of Durban, the Valley of 1000 Hills is fast becoming known as the wedding capital of KwaZulu Natal. One can make a selection from among a cornucopia of beautiful views, tranquil garden settings and even bush weddings. The area offers a plethora of BnBs and other accommodation options so that your guests can stay close to the venue and enjoy themselves. Numerous restaurants in Hillcrest and Kloof are open until late at night so you are never far from a gourmet dining experience. The township, too, is a fantastic place to interact with the locals, and to experience the bustling culture expressed in terms of clothing, traditional food, and music. Hammersdale and Molweni are two of many areas where you can enjoy these experiences, especially the vibrant township night life.